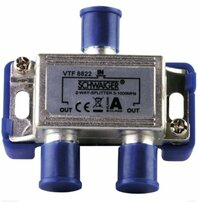 2-Way Splitter (4 dB) for cable and antenna systems. 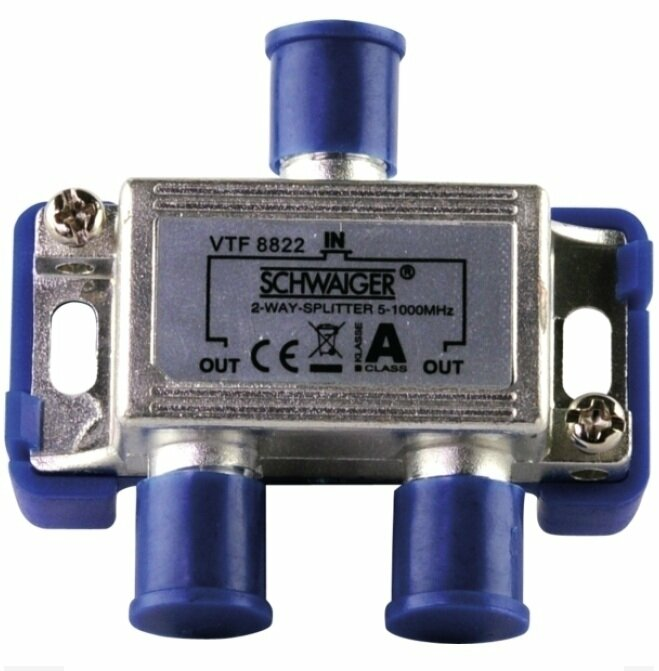 The SCHWAIGER® 2-way splitter is designed for use in cable and antenna systems. 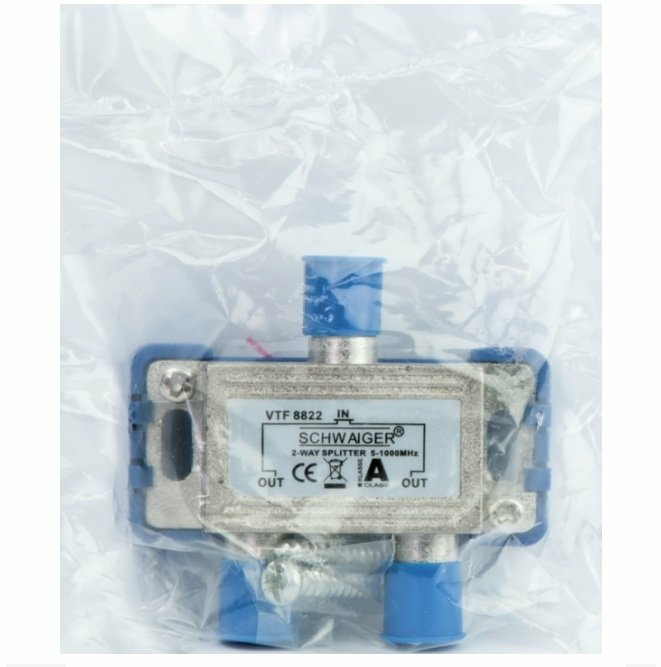 A plastic spacer enables optimal cable entry.